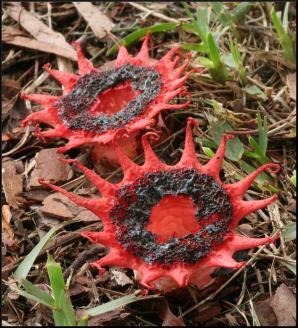 This fungus, fairly common in Australia and New Zealand, was the first Australian fungus to be formally described. It has been sighted in South Africa and is found on some Pacific islands. 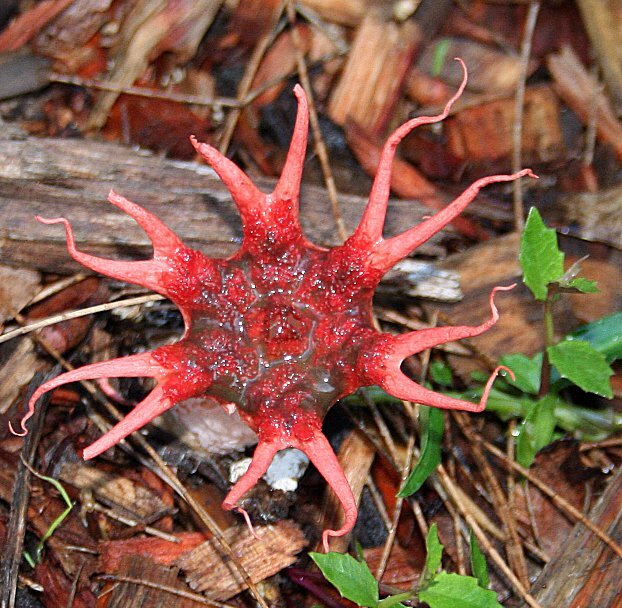 It exists in North America as well, and is the most common stinkhorn in Hawaii. Identification: I don’t think there is anything that looks remotely like this fungus. But if you are uncertain about it, take a whiff. If it smells like rotting meat, you have a match. It uses this odor to attract flies, which distribute its spores. More photos are available from MushroomExpert.com. This photo by petrichor won Botany Photo of the Day. 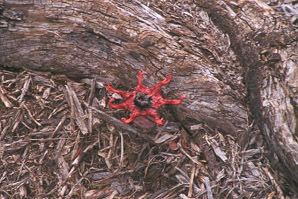 It was taken in southeastern Australia. This photo by Cas Liber, from New South Wales, Australia, shows that there is significant variation in shape. 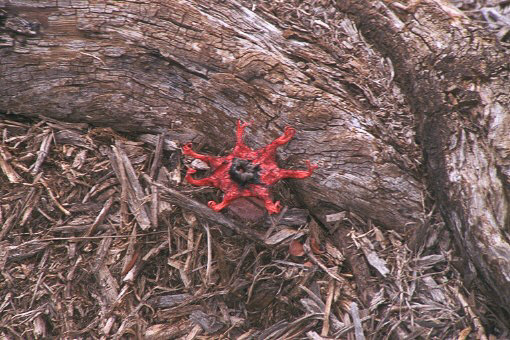 Aseröe rubra description by Thomas H. Kent, last updated 12 Oct 2018.